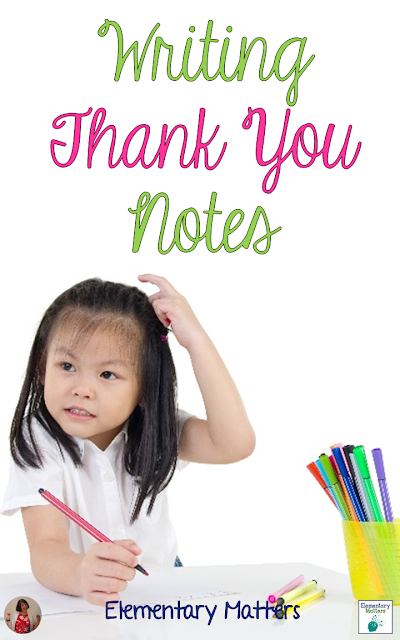 I think Thank You Notes are becoming a lost art. But they are worthwhile and valued. The Heading: since this is a note, not a letter, all that's needed is the date, not an entire return address. 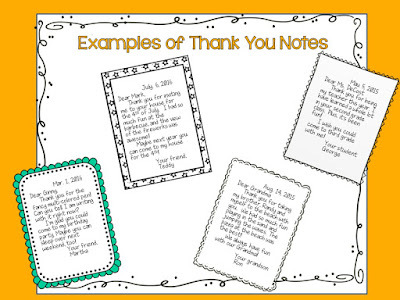 The Body: I was always taught that the body of a thank you note has two basic sentences. The first sentence is very specific: Thank you for the _______. The only time you're not very specific is when it's money or a gift card. Then you just say thank you for the money. The second sentence tells what you are going to do with the item. It's ok to add another sentence or two, just friendly stuff, but those two sentences are essential to a thank you note. 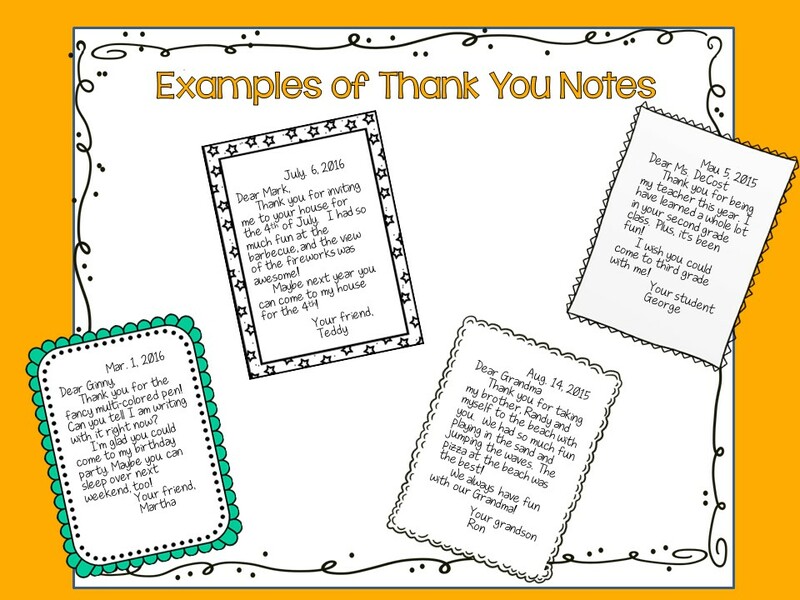 I made a few Thank You Note Cards for you to copy. Just fold the pages to make them into card form. You can download this freebie HERE. CCSS.ELA-Literacy.L.2.2b Use commas in greetings and closings of letters. 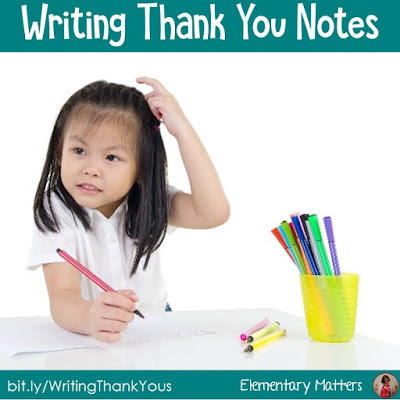 Enjoy writing your Thank You notes! Thanks for the freebie! Great idea!